Theories of verisimilitude have routinely been classified into two rival camps—the content approach and the likeness approach—and these appear to be motivated by very different sets of data and principles. The question thus naturally arises as to whether these approaches can be fruitfully combined. 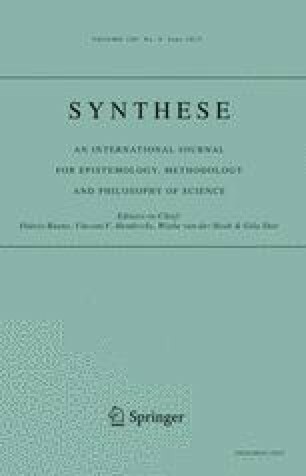 Recently Zwart and Franssen (Synthese 158(1):75–92, 2007) have offered precise analyses of the content and likeness approaches, and shown that given these analyses any attempt to meld content and likeness orderings violates some basic desiderata. Unfortunately their characterizations of the approaches do not embrace the paradigm examples of those approaches. I offer somewhat different characterizations of these two approaches, as well as of the consequence approach (Schurz and Weingartner (Synthese 172(3):415–436, 2010) which happily embrace their respective paradigms. Finally I prove that the three approaches are indeed compatible, but only just, and that the cost of combining them is too high. Any account which combines the strictures of what I call the strong likeness approach with the demands of either the content or the consequence approach suffers from precisely the same defect as Popper’s—namely, it entails the trivialization of truthlikeness. The downside of eschewing the strong likeness constraints and embracing the content constraints alone is the underdetermination of the concept of truthlikeness.